Start The Airship: a Truncated Past, a Promising Future? When flames devoured the Hindenburg in less than a minute on May 6, 1937, it was not just an aircraft that was consumed by the fire, but also the promise of a bright future for a means of transport. Two days after the LZ 129 Hindenburg catastrophe, the veteran LZ 127 Graf Zeppelin landed at its base in Friedrichshafen, Germany never to transport a single passenger ever again. The new LZ 130 Graf Zeppelin II, still under construction, never entered commercial service. Both were finally dismantled in 1940, putting an end to the airship era. The Hindenburg still retains today the record for the largest aircraft ever built (matched by its twin, the Graf Zeppelin II). When it entered service in March 1936, it was the glory of Nazi propaganda and only made long distance trips, reducing the travel time across the Atlantic to less than three days. Its 50 passengers (later expanded to 72) enjoyed luxuries non-existent in its predecessor, the Graf Zeppelin: more space, an aluminium piano, a heating system and even a smoking lounge, despite the 200,000 cubic metres of flammable hydrogen. This room was excessively pressurized and separated from the rest by a lock to make it impossible for a leak of the gas that lifted the ship to reach there. In 1936, the Hindenburg strengthened the intercontinental line between Germany and Brazil already operated by the Graf Zeppelin, also opening the first commercial air connection with the USA. By the end of its first season of service, it had crossed the Atlantic 34 times carrying more than 3,500 passengers. But everything was reduced to ashes when the Hindenburg was landing in Lakehurst (New Jersey) during its first North American trip of 1937. The explosion and subsequent fire took 36 lives: 13 of the 36 passengers and 22 of the 61-member crew, and one member of the ground crew. Despite the spectacular nature of the incident, there were a majority of survivors. However, Grossman adds, the nature of that discharge has not yet been determined with precision. It was probably a spark caused by the difference in electric potential between the metal structure affixed to the ground and the textile cover of the electrically charged craft, an explanation put forward by the accident investigators in 1937. A corona effect, an atmospheric electrical phenomenon that is the origin of the so-called St. Elmo’s fire, can also not be ruled out. 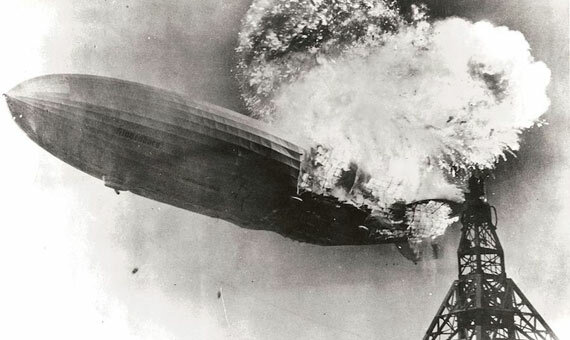 The spark ignited a hydrogen leak from the dirigible tanks, but the origin of the leak is unknown. “This will probably never be determined with certainty,” says Grossman. The Hindenburg is undoubtedly one of the most famous disasters in history, filmed live by the news agencies present that day in Lakehurst. But it was not the only airship accident, nor the most tragic. Four other accidents caused more casualties, the most deadly being that of the US Navy airship USS Akron, destroyed in a thunderstorm in 1933 with 73 deaths out of its 76 occupants. In total, more than 600 people have lost their lives in airship accidents. But it is also worth mentioning the impeccable track record of ships like the mythical Graf Zeppelin, which completed 590 flights over nine years, including a round the world trip and an arctic voyage, crossing the Atlantic 136 times and transporting more than 34,000 passengers without suffering a single mishap. In spite of everything, airships have never disappeared. For decades they have lasted, especially for promotional, tourist and aerial observation purposes. The resurrected German company Zeppelin operates panoramic flights in Friedrichshafen and Munich aboard their new Zeppelin NT. 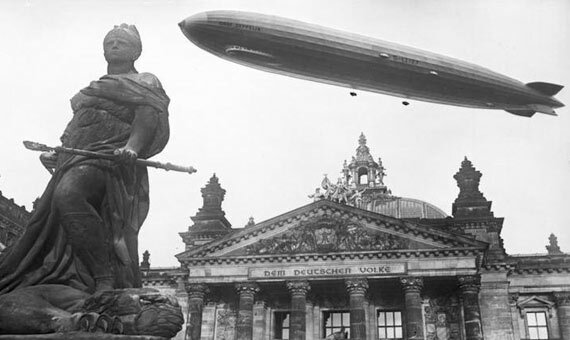 Nowadays they are filled with non-flammable helium, but this is not new: in the golden age of the zeppelins, the USA was already using this gas, while Germany lacked production and thus could only use hydrogen. Modern dirigibles are far removed from their ancestors in terms of technology. 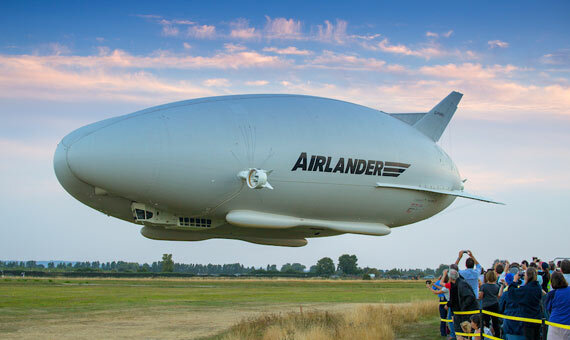 The Airlander 10 of the British Hybrid Air Vehicles (HAV), today the largest in the world, has a curious design that generates lift when moving forward through the air, which contributes to its flotation—a hybrid system between airship and aircraft. The American company Lockheed Martin is also building hybrid airships with which it plans to distribute humanitarian aid and cargoes to remote regions. It is even said that Google co-founder Sergey Brin is building his own airship in a NASA hangar in California. NASA itself has looked into the concept of the airship for a hypothetical exploration of Venus. In more realistic terrain, entities such as the Keck Institute of Space Studies propose this system as an alternative to satellites for the investigation of Earth or space. According to Robert Fesen, an astronomer at Dartmouth College and co-author of the report Airships: A New Horizon for Science, “it’s mostly about access and cost.” One satellite costs tens of millions of dollars, he points out, while a dirigible or stratospheric balloon would do the same for ten million or less.